We are planning big things for the month of August. Keep checking back in the coming weeks for updates on how you can get involved to help change our suburban neighborhood into what was envisioned when it was created all those many decades ago. We can be stronger than bombs, if you’re singing along and know that you really believe. 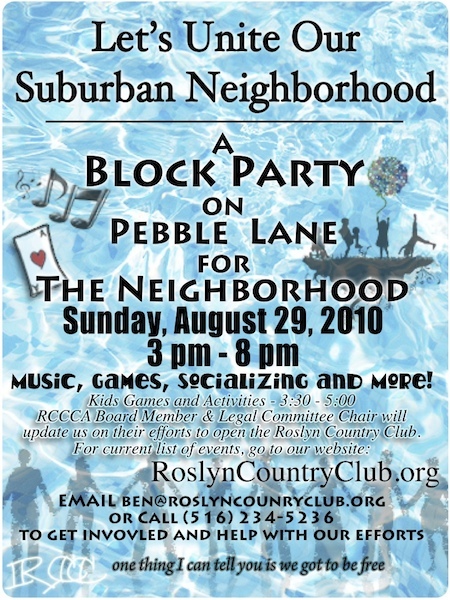 Feel free to email me, ben – at – roslyncountryclub – dot – org, if you have ideas you would like to share, old pictures of our neighborhood, interested in becoming more involved in these efforts, or just want to say “Hi”. Thanks. Have a great August!